Bijapur city is well known for its historical monuments of architectural importance built during the rule of Adil Shahi dynasty. A Mosque built by Ali Adil Shah I over 300 years ago. The Kuran inscriptions in gold are the main attraction. It can contain 2250 prayers. Free entrance. Entrance on Station Road. 06:00 - 18:00. It is The second largest dome and largest unsupported dome in the world. 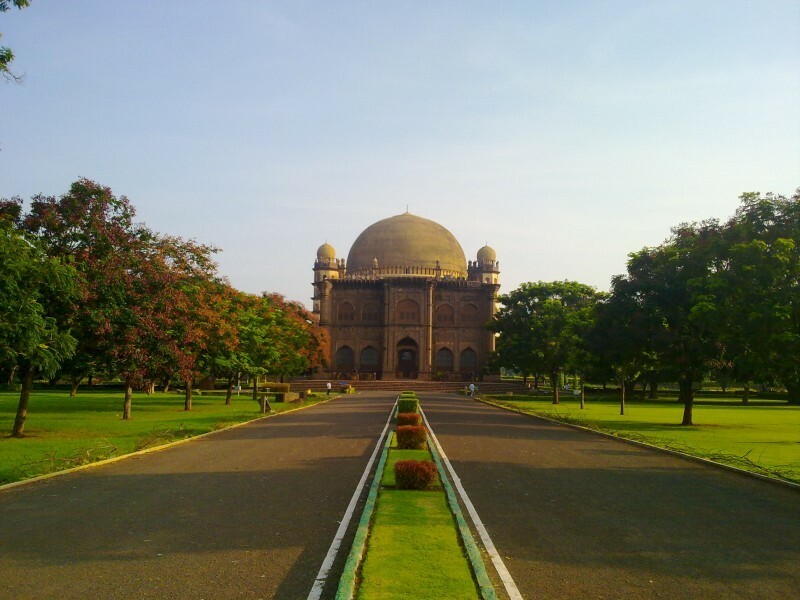 It is the mausoleum of Mohammed Adil Shah and his family. It was built in 1659. At the top, the whispering gallery is a wonder where a tick of watch can be heard from opposite side of the dome over 200 feet away. Entrance Rs. 5 for Indians and Rs. 100 for foreigners. Bijapur Market, Gandhi Circle. You can wander around this crowded and noisy market and see the vegetables and spices which are sold there. The Hindu temple which are part of the UNESCO World Heritage Site. Located 60 km southwest of Bijapur. Let one of our tailor-made holiday experts help you plan a personalised Bijapur experience as per your budget and requirements.